After a lifetime of watching other teams win the Superbowl, it's great to see the Atlanta Falcons getting a chance in Superbowl LI. 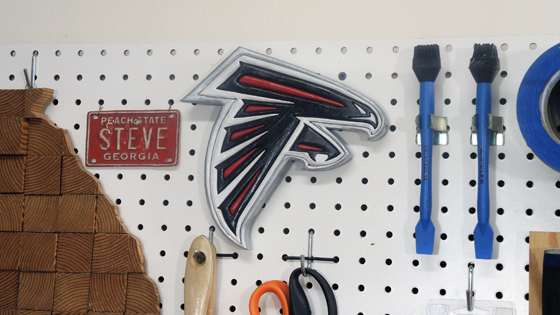 Watch me make an Atlanta Falcons logo out of wood to hang in my shop! Click here to download my template. I was born in Atlanta and have lived here all of my life. My father would take me to Atlanta Falcons football games at the old Fulton County Stadium. It would be freezing cold and the sun would be shining in my face. I remember asking my dad "Why do they play football on a baseball field?" 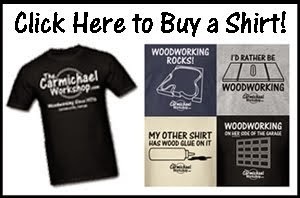 LOL This logo is a fun segmentation woodworking project. Maybe you could make your team's logo out of wood too! Nice! Where did you find the template? I would like to make one of those. Hi Jeff - I got the logo from google images, then deleted the colors in photoshop leaving just lines. I put a link to my template in the article up above if you want it. Thanks! Your logo has my son interested in scroll sawing. He has been making a logo for each of his favorite teams. So far bears, white sox, golden state, blackhawks and Ohio State. It is great see him fired up and his scrolling has improved immensely. Wow, that's great to hear George! Thanks for letting me know. Makes my night! Happy scrolling!!! It was nice meeting you Steve, I am glad you liked my version of the falcons logo. Keep inpiring us. What machine are you working off of? 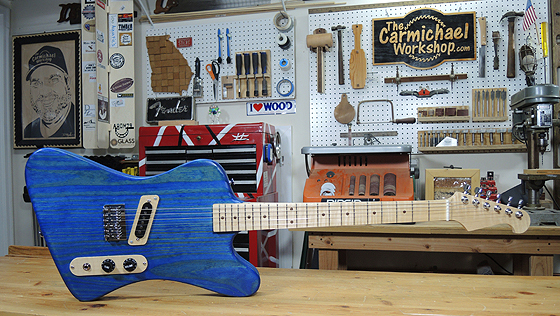 New at woodworking and have made a handful of stuff. Saw your post about the shelves you made for your daughter on another site. Came to check you out, surprised to see you're in Atlanta too!! Great blog btw, will be coming back for more! Hi Heather, it's a dewalt dw788 scroll saw. Thanks for checking out my stuff neighbor!